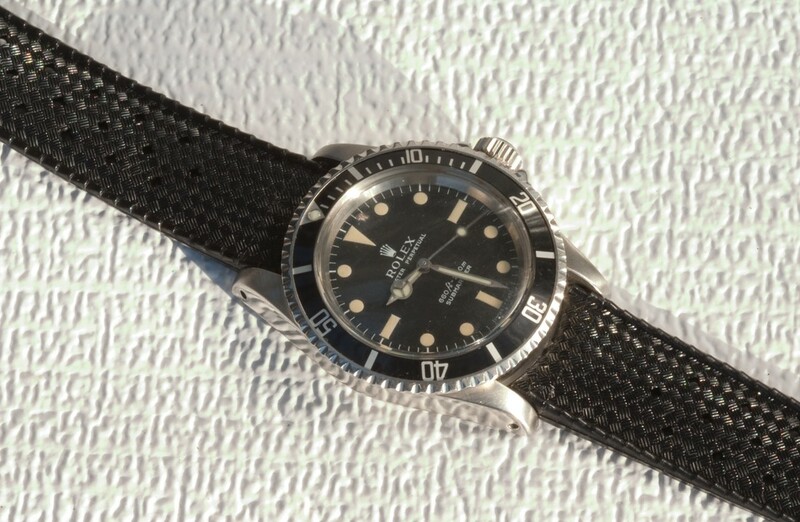 Most rare of the 1960s/70s Tropic type band styles, to fit your 20mm Rolex Submariner or Rolex GMT sports models, right up to those larger lug 22mm watches. 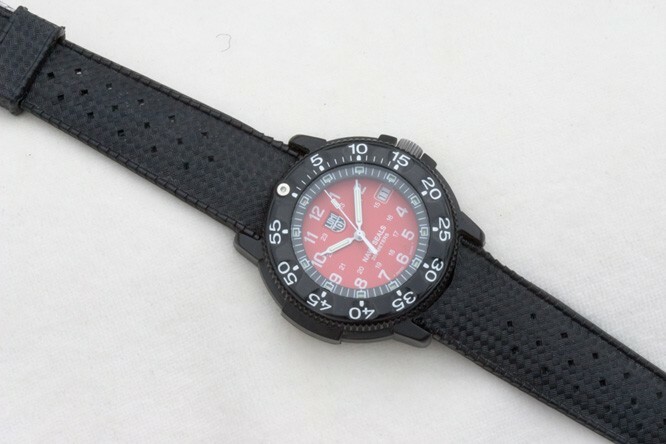 These unsigned Tropic type straps have very supple rubber and are a great bargain these days with the price of Swiss Tropic bands soaring. 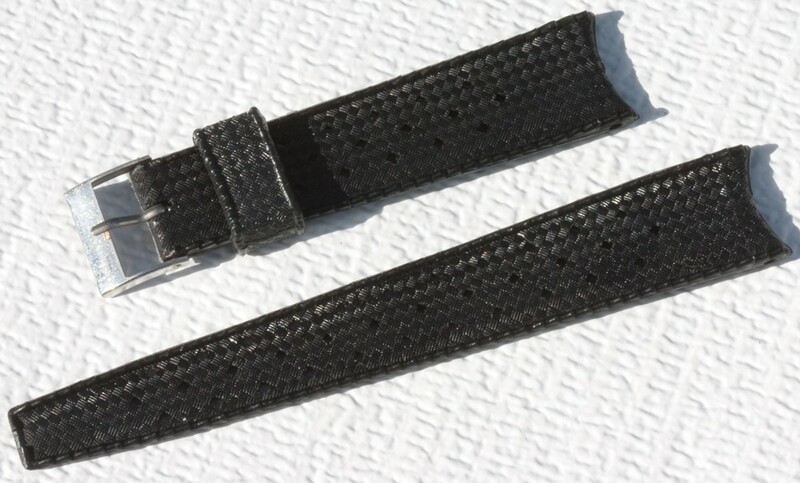 Longer length straps measure 8 inches long (21cm) placed end to end, not including the buckle. Metric size is 115/75. 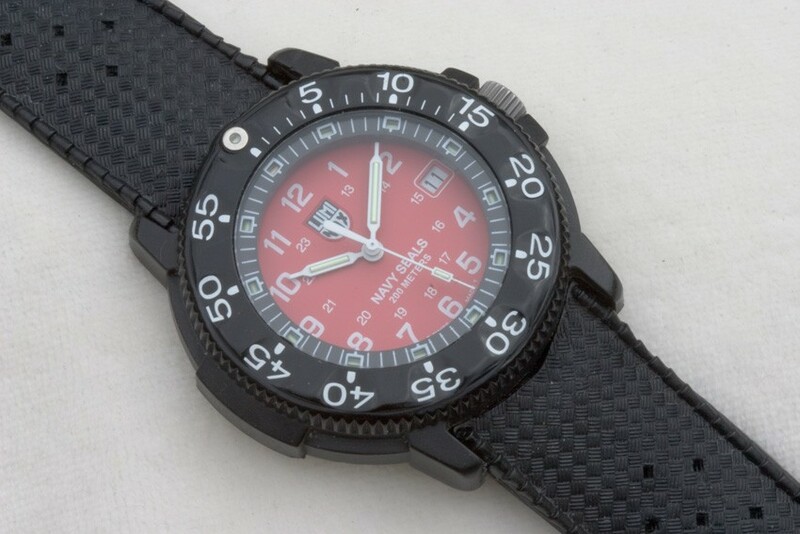 (You’ll find the Swiss Tropic bands in 20mm with curved ends are quite a bit shorter.) Single sliding keeper. 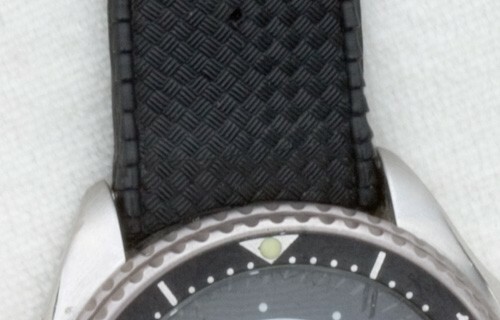 Strap is 4mm thick at the watch end. 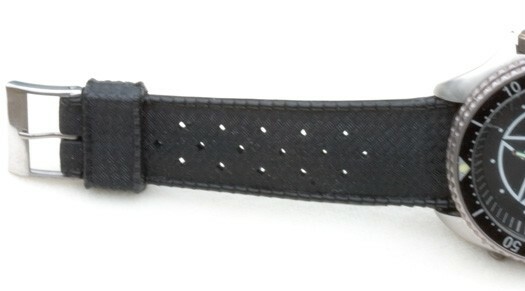 With a 16mm buckle end. The band is unsigned. 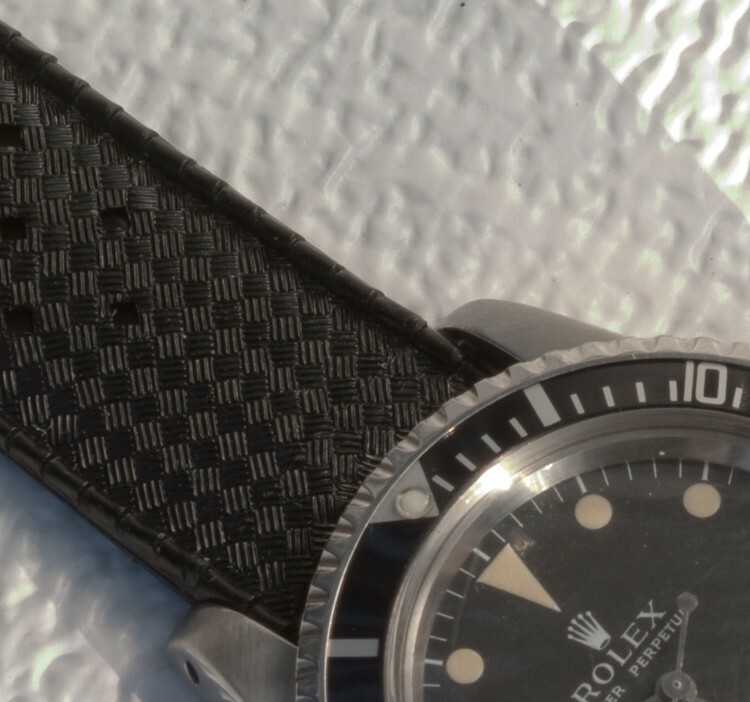 This is the type of vintage band that came with Breitling models, large 22mm dive models and other fine watches in the 1960s and 70s. The band is unsigned. 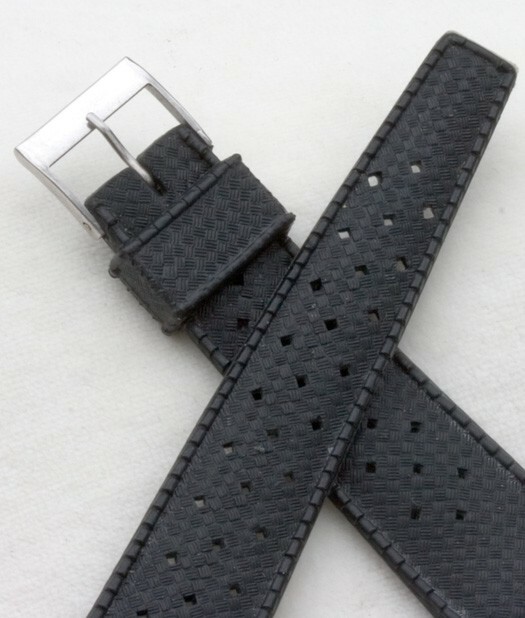 Strap measures a generous 7 7/8 inches placed end to end (20cm), not counting the buckle. Metric size is 125/75. 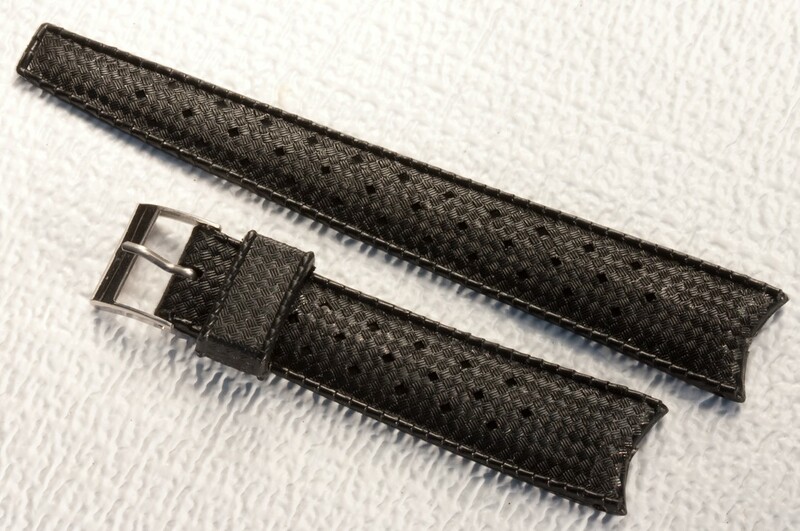 Strap is 4mm thick at the watch end. Large spring bar holes. 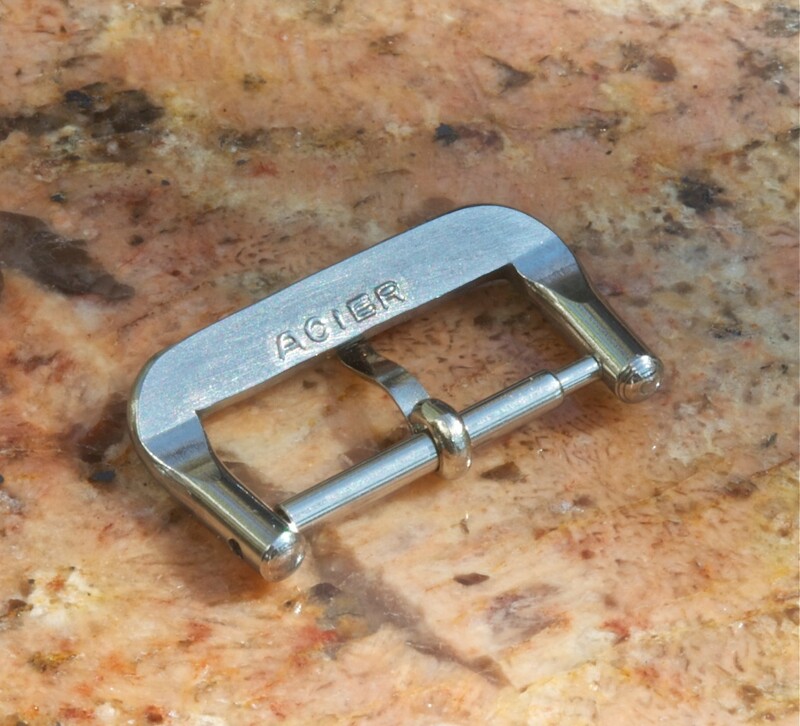 Buckle end is 16mm. 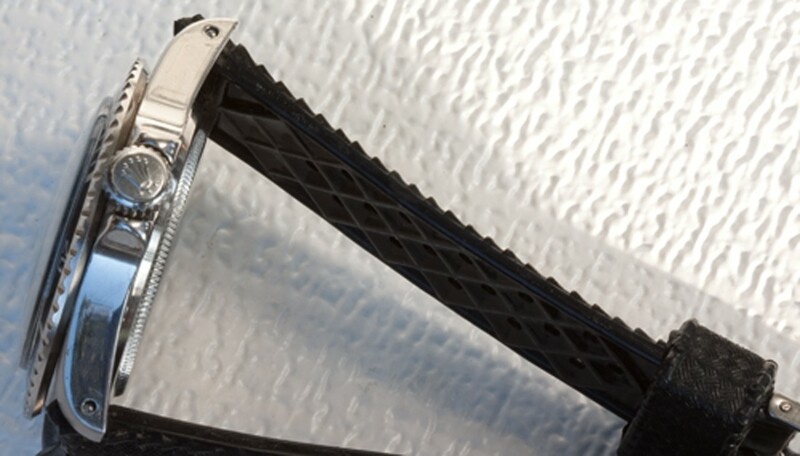 For a limited time, you can buy one of the original Swiss Tropic premium type buckles shown above to upgrade your band to the look of the $300+ Swiss Tropics. 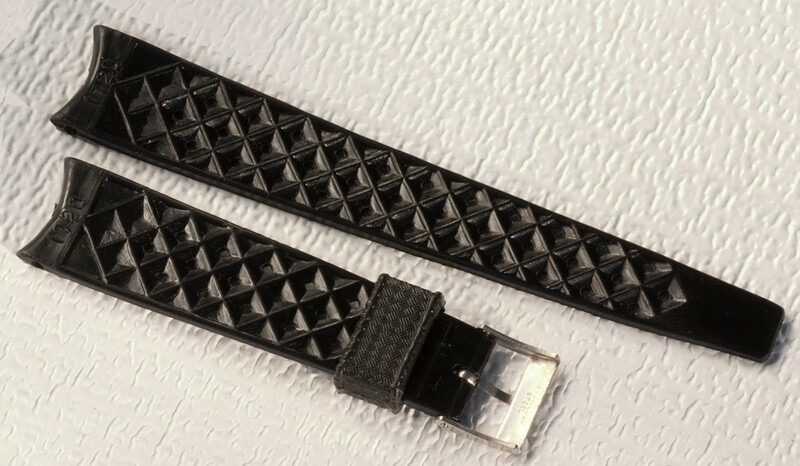 Just $25 if bought with one of these bands. U.S. shipping for $6.99 for USPS First Class shipping and tracking in the United States. 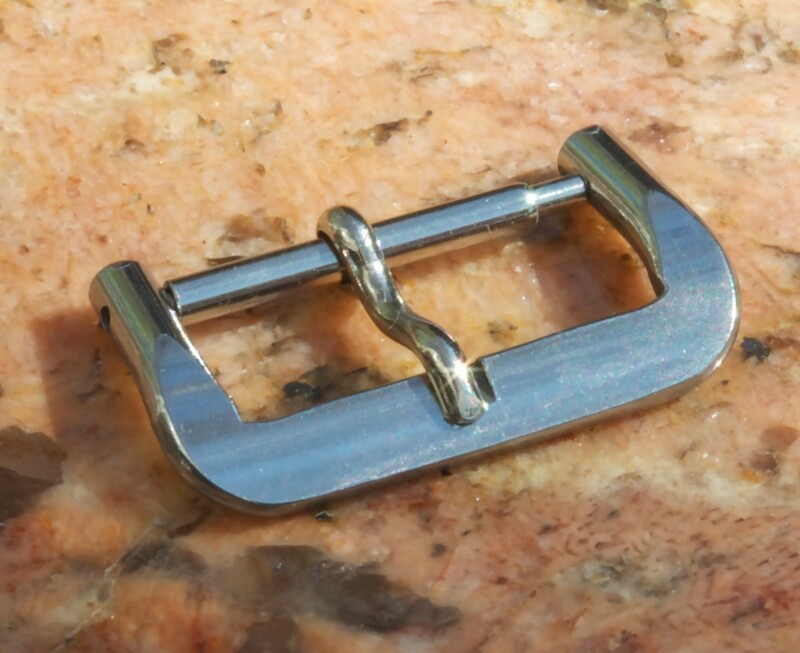 INTERNATIONAL SHIPPING to most other countries for $19.99 by First Class or $40 by Registered USPS required for some orders. Express arrives in 3-4 days for $70. Paypal to billmahoney@aol.com or mail payments by check or money order accepted. Email me at billmahoney@aol.com if you need additional information.